Dubai has revealed plans to become one of the world’s most advanced and accessible tourism markets by leveraging emerging technologies to support growth in the sector and to facilitate easier access to the city for foreign visitors. The first stage of the programme, which has been launched under the emirate’s 10X initiative, will see the creation of a new advanced service distribution platform for hotel and tourism operators. Launched at the World Government Summit by HH Sheikh Hamdan bin Mohammed bin Rashid Al Maktoum, Crown Prince of Dubai and chairman of The Executive Council of Dubai Government, the initiative will be implemented by Dubai Tourism (DTCM) over the next two years. According to a government statement on the matter, it will enable Dubai to “enhance distribution of its tourism inventory through a future-proofed virtual B2B (business-to-business) marketplace for the travel industry”. The open platform is designed as a shop window for tourism- and hospitality-related goods and services. It is expected the service will lure new entrants to Dubai’s travel sector, providing greater choice and more competition that will benefit visitors to the emirate. 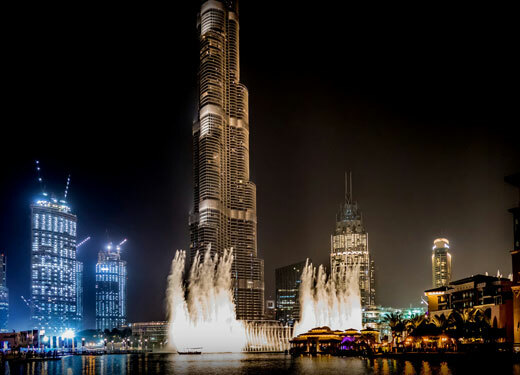 It will enable visitors to tailor their trips to Dubai using multiple vendors for various aspects of their booking, ensuring best value pricing at all times. The Dubai government predicts the new initiative will have tangible benefits for the entire industry and the broader economy. In addition to driving tourism numbers, the programme will generate new employment opportunities and boost tourism’s contribution to Dubai’s GDP. Tourism in Dubai has been a consistently high growth sector with 2017 bringing 15.79 million visitors – an increase of 6.2% over 2016, reinforcing Dubai’s ranking as the fourth most visited city in the world. This development has largely been driven by arrivals from key emerging outbound tourist markets, whose economies are among the fastest growing on the planet. Topping the list is India, which contributed 2.1 million visitors to Dubai’s tourism industry in 2017 and became the first country to cross the two million mark in a single year. China and Russia, two of the world’s fastest growing outbound tourism markets also ranked strongly, with the former accounting for 764,000 tourists (representing a 41% year-on-year rise) in 2017. Russian tourist arrivals reached 530,000, representing a remarkable increase of 121% compared to the number who visited Dubai in 2016. Other key growth markets included Iran (503,000 visitors), Germany (506,000) and the United States (633,000). Saudi Arabia was the largest source market in the GCC region, accounting for 1.53 million visitors in 2017. In keeping with the goals and expectations of the Dubai 10X Vision, HE Helal Saeed Almarri, Director General of Dubai Tourism, said of the initiative: “Guided by the vision of His Highness Sheikh Mohammed bin Rashid Al Maktoum, Vice President and Prime Minister of UAE and Ruler of Dubai, and his powerful future-focused agenda to take Dubai 10 years ahead of its competitors, we at Dubai Tourism are determined to carve a reputation as global leaders in tourism innovation, exponentially accelerating our digital, mobile and social first strategy.